The question of whether you can trademark your marijuana related brands is one that has become increasingly common as more states move toward medical and recreational legalization. Under the United States Patent and Trademark Office’s (“USPTO”) “Lawful Use Rule,” the use in commerce on a federal trademark registration application cannot be for an illegal purpose. As everyone is undoubtedly aware, marijuana is still considered illegal under the Controlled Substances Act and therefore marijuana or marijuana paraphernalia related use is commerce is not acceptable by the USPTO. Federally registered trademarks have cleared the application process by tactfully asserting a use in commerce that is not obviously marijuana related. For instance, marks such as GOT MARJIJUANA?, I LOVE MARIJUANA, and MARIJUANA MONKEY, are registered trademarks for various types of apparel, which equates some form of brand protection. This allows brand owners to have their foot in the door of federal trademark registration if marjiuana ever becomes federally legal. One brand, MARIJUANA 420, is even registered for uses such as herbal molasses, hookah tobacco, and molasses tobacco. In short, gaining brand protection is possible but not easy. Some cannabis growers have turned to state level trademarks to protect their marijuana brand. While state trademarks are less robust compared to their federal counterparts, they do provide some protection, which is better than none. For instance, GGStrains, the growers behind the popular and award winning marijuana strain “Gorilla Glue,” trademarked “Gorilla Glue #4” with the states of Colorado, Nevada, and Washington, where recreational marijuana is legal. It should be noted, however, that GGStrains recently settled with the actual glue Gorilla Glue and has rebranded Gorilla Glue #4 to GG4 and/or the Original Glue and so the validity of their registered state trademarks may be questionable now. 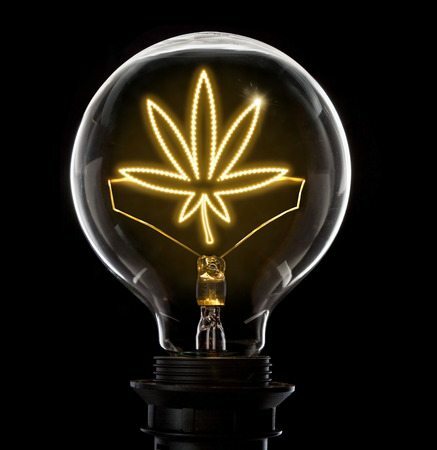 In the alternative of registering a trademark, cannabis businesses can always assert common law trademark rights to their marijuana products, but common law trademarks are not exceptionally strong. However, as the Marijuana industry continues to boom it is important for marijuana businesses to establish a brand and keep records of how long they have been using it and in what capacity. That way, when the time comes for federal registration to be available, marijuana business can be ready. For more information on marijuana law, visit Traverse Legal’s extension website MarijuanaAttorney.Pro!